If you don’t have local access to a modern NVIDIA GPU, your best bet is typically to run GPU intensive training jobs in the cloud. Paperspace is a cloud service that provides access to a fully preconfigured Ubuntu 16.04 desktop environment equipped with a GPU. 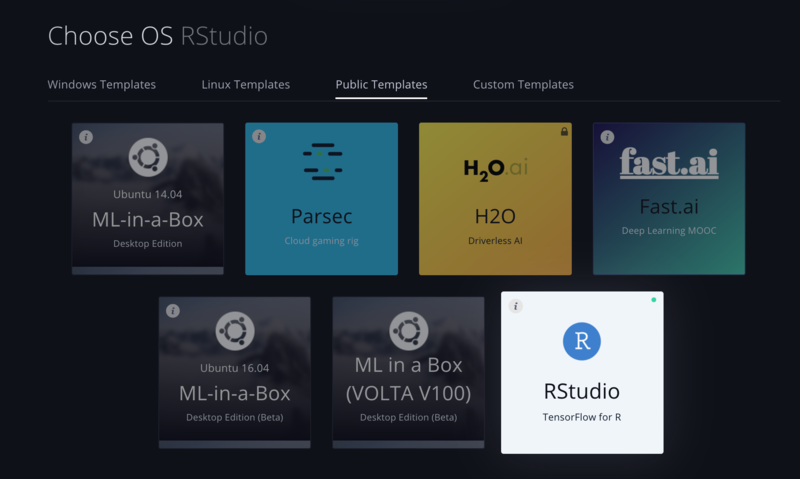 We are very pleased to announce the availability of an RStudio TensorFlow template for the Paperspace cloud desktop service. The R keras, tfestimators, and tensorflow packages. To get started, first signup for a Paperspace account (you can use the RSTUDIO promo code when you sign up to receive a $5 account credit). See the Cloud Desktop GPUs with Paperspace article on the TensorFlow for R website for full details on getting started. Training the model for 12 epochs takes about 1 minute (~ 5 seconds per epoch). On the other hand, training the same model on CPU on a high end Macbook Pro takes 15 minutes! (~ 75 seconds per epoch). Using a Paperspace GPU yields a 15x performance gain in model training. This model was trained on an NVIDIA Quadro P4000, which costs $0.40 per hour. 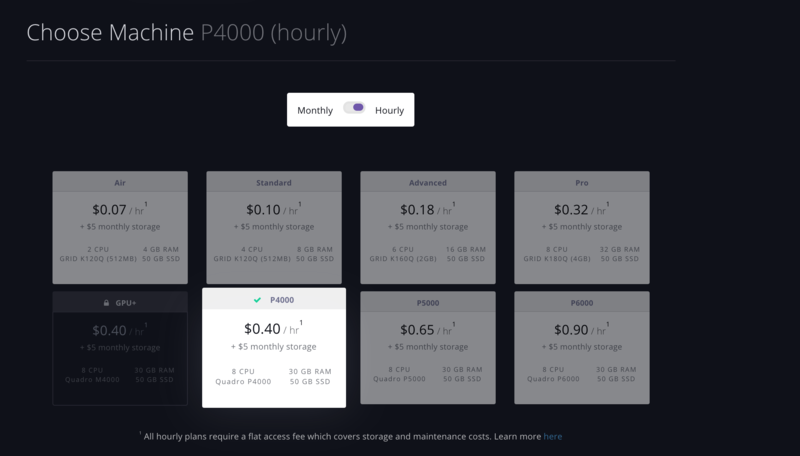 Paperspace instances can be configured to automatically shut down after a period of inactivity to prevent accruing cloud charges when you aren’t actually using the machine. 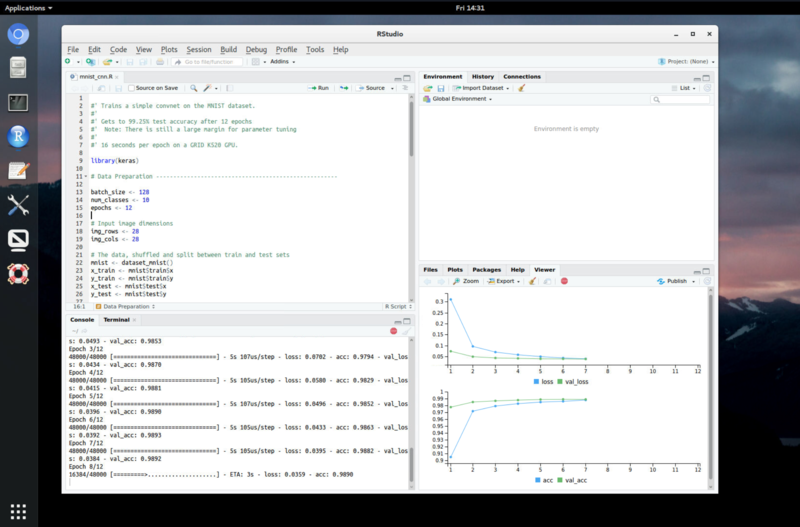 If you are training convolutional or recurrent models and don’t currently have access to a local NVIDIA GPU, using RStudio on Paperspace is a great way to accelerate training performance. You can use the RSTUDIO promo code when you sign up for Paperspace to receive a $5 account credit.